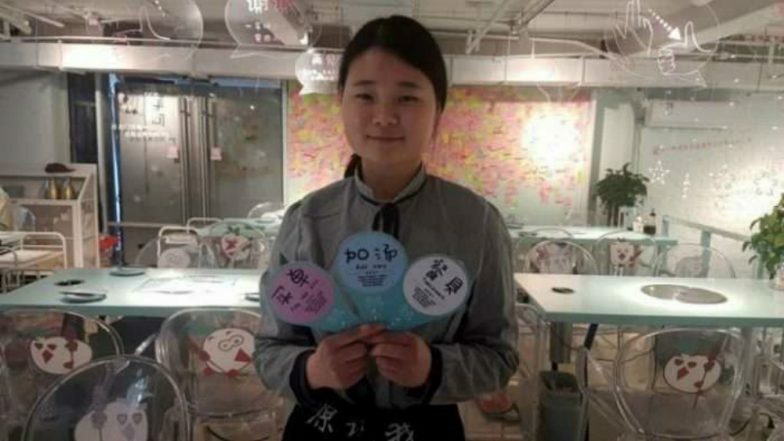 Beijing, April 8: A restaurant in China's capital is offering opportunities to people that are hard-of-hearing by employing a team of deaf waiters who communicate with customers aided by guide cards. With a look of concentration and a timid smile on his face, Cao Xueting goes about serving food to diners in a quiet but determined manner and when asked about the menu, he quickly directs customers to some coloured cards, reports Efe news. Move Over French Fries; This Italian Restaurant Serves ‘Fried Air’ & Customers Are Loving It Already (Watch Video).